These great value tights from Pretty Polly have a comfort waistband, reinforced body, sheer leg with graduated support to factor 6, reinforced toe and a cotton gusset. They're perfect for ladies who do more than just lunch! If you're on the go all day then these are the perfect product for you. Rating: 5 Comfortable to wear. Long lasting and easy to care for. Good light support with sheer appearance. Rating: 5 Perfect. Good support and feel and reasonable price. Rating: 5 I have always found them very comfortable to wear, and was impressed with the very speedy delivery. Rating: 2 When I first wore them the tights were comfortable. After 2 hours the gusset was about 6 inches down my legs from my crotch. The elastic in the knicker part of the tights was useless, as was the waistband, because by the end of the day, the waistband was hovering around the top of the legs! Rating: 5 Good quality product. Comfortable to wear. Rating: 5 Lovely tights they fit well especially for the taller larger lady as sizes are up to XXL. Great service and price. Will use this company again. Rating: 5 Excellent support tights which last well and keep their fit.Good value for the money. Rating: 5 These tights fitted well and were a good colour and good quality. I would buy these again. Rating: 5 I use these tights when I know I am going to be on my feet for a long period. They are comfortable and don't feel restrictive in any way. 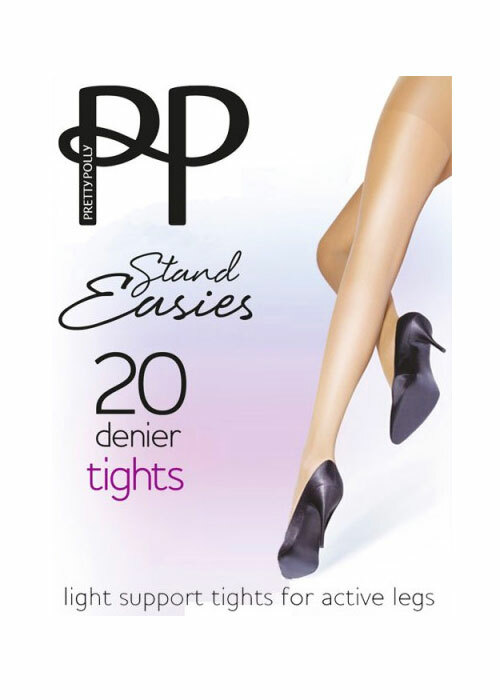 Pretty Polly have been a favourite for all tights as they do not wrinkle as some tights do as I am short in the leg.